VG. Book PBO. A VG copy. Signet D-2095 with a.50 cover price. MTI. First printing. Tennessee Williams' play "Sweet Bird of Youth" shows deeply flawed individuals self-destructing as they try to recover their innocence and youth. As are the characters, the play is beautiful, if flawed. The same might be said of the playwright. The play was a success when it opened on Broadway in 1959. Elia Kazan directed, Paul Newman played the leading male character, Chance Wayne, while Geraldine Page won recognition and a Tony Award for her portrayal of the leading woman, The Princess Kosmonopolis, aka Alexandria Del Lago. This three-act play is set in a town called St. Cloud on the Florida Gulf on an Easter Sunday in the late 1950's. It centers on the parasitic, yet partly affectionate relationship between Chance Wayne, 29, and the aging Princess. Violence, particularly in the form of castration, looms heavily over the play. Chance grew up in St. Cloud, aspired to an acting career, and loved a young girl, Heavenly, the daughter of the town political strongman, Boss Finley. Chance's life degenerated rapidly to wandering, substance abuse, and serving as a gigolo to middle aged or elderly wealthy women. Chance has been run out of town by Boss Finley because of his relationship with Heavenly. On his last visit to town, Heavenly had contracted a venereal disease requiring an operation making it impossible for her to bear children. Chance meets a wealthy, ill, aging actress, The Princess, who had been successful in her youth but had faded from public notice 15 years earlier. She has made a new movie to try to revitalize her career but she thinks it has been hooted and rejected. The Princess and Chance get together and with Chance trying to blackmail the Princess and the Princess trying to compel Chance to satisfy her sexually. As part of his efforts to use The Princess, Chance brings her to St. Cloud in an attempt to retrieve Heavenly and her love. Chance's old enemies, headed by the Boss, learn of Chance's presence and pressure him to leave under threat of castration or death. As with so much of Williams, the play manages to be beautiful and deeply moving as well as violent and tawdry. The two lost characters, both caught in their past, in self-pity, and in substance abuse, develop feelings even while they use and exploit one another. They, as well as several of the secondary characters of the play, show a fixity in their responses and an inability to respond to change that lead to self-destruction. The characters try to recapture their innocence or their successes and doom each other and themselves. The first and third acts of the play are well-paced and convincing. They set out the relationship between Chance and The Princess and its violent denouement. The lengthy second act which introduces Boss Finley and several other characters and sub-plots resulted in a great deal of trouble and rewriting for Williams. In reading this play, it slows down and confuses the action. "Guilt is universal. I mean a strong sense of guilt. If there exists any area in which a man can rise above his moral condition, imposed upon him at birth and long before birth, by the nature of his breed, then I think it is only a willingness to know it, to face its existence in him, and I think that at least below the conscious level, we all face it. Hence guilty feelings, and hence defiant aggressions, and hence the deep dark of despair that haunts our dreams, our creative work, and makes us distrust each other." John Lahr's new biography, "Tennessee Williams: Mad Pilgrimage of the Flesh" (2014) considers "Sweet Bird of Youth" at length. Lahr discusses the themes of the play, the difficulties in its writing and production, Williams' relationship to Elia Kazan and to Geraldine Page, and the ways in which the play reflects Williams' own life. Kazan called "Sweet Bird of Youth", "the most truly autobiographical play Williams ever wrote" with the playwright dealing "with his own corruption and his wish to return to the purity he once had." The play moves uneasily between its highly personal, romantic character and the feeling of universality in its tragedy. 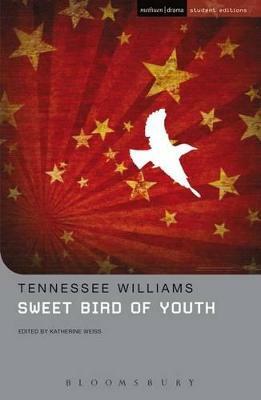 Lahr's book and analysis encouraged me to read "Sweet Bird of Youth" as well as other works of Tennessee Williams. It remains a troublingly difficult yet moving work by this great American writer.